Once you decide to retire and begin preparing, the final months leading up to your retirement date go by quickly. 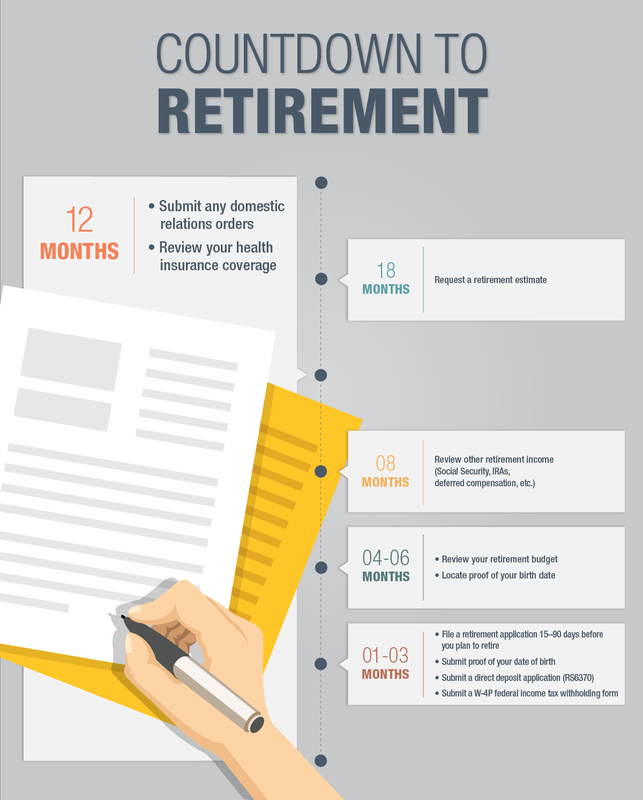 Previously, we discussed the steps to take when you’re eight months away from retirement. As we continue our Countdown to Retirement, let’s take a look at what you should be doing four to six months out. At 18 months out, we suggested requesting a NYSLRS retirement estimate. You should have that estimate by now and, with it, a much better idea of what your retirement benefit could be. Now, you can prepare a post-retirement budget and make decisions about your goals and how you want to spend your money in retirement. 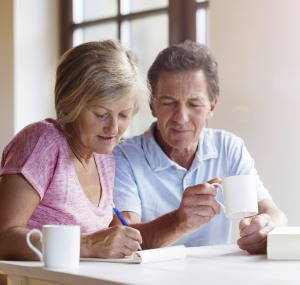 We offer worksheets to help you prepare a post-retirement budget on our website. For a more realistic budget, keep track of your current spending for a month or two to get an idea of your expenses. Be sure to factor in periodic expenses, such as car insurance and taxes. It’s a good idea to look for proof of your birth date sooner rather than later, in case you need to arrange to get a replacement. Also, if you’re thinking about choosing a pension payment option that provides a lifetime benefit to a beneficiary, we will need proof of your beneficiary’s birth date too. 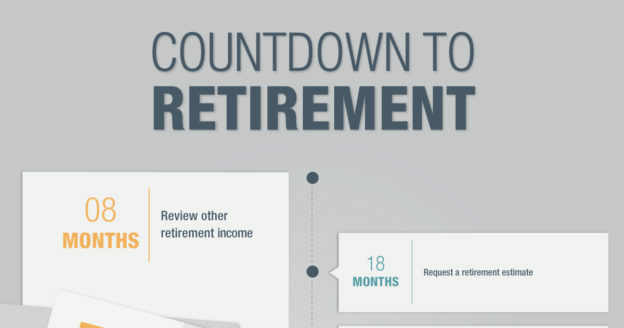 Your planned retirement date is just a few months away. 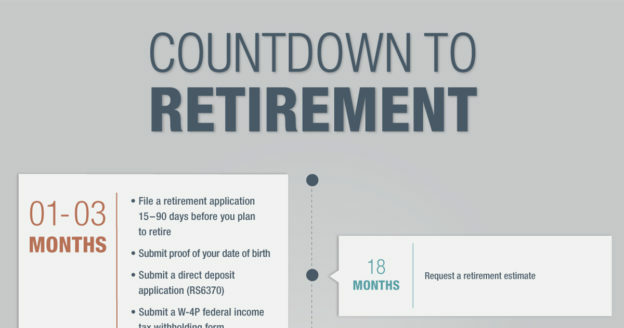 As you approach three months away from retirement, check back for the final post of our Countdown to Retirement series on filing your Application for Service Retirement (RS6037) and other forms. If you have any questions as you prepare for retirement, please contact us. Content last revised February 13, 2019. 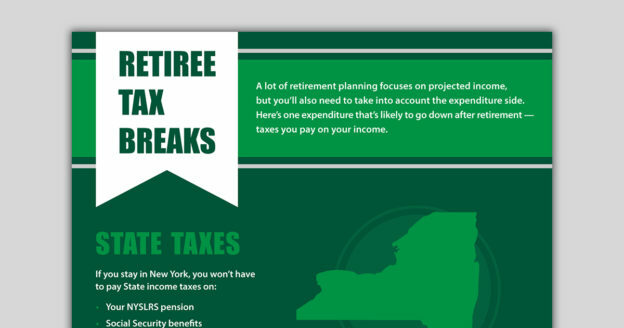 This entry was posted in General News, Members and tagged budget, Countdown to Retirement, ERS, four to six months out, Information is the Key, know your benefits, New York State & Local Retirement System, NYSLRS, PFRS, post-retirement budget, Preparing to Retire, proof of date of birth, proof of dob, proof of your birth date, retirement, retirement budget, retirement planning on February 13, 2019 by NYSLRS. What does it mean to be a vested NYSLRS member? You become vested after you earn sufficient service credit to be eligible for a pension, even if you leave public employment before retirement. Becoming vested is a crucial milestone in your NYSLRS membership. When Will I Be Vested? 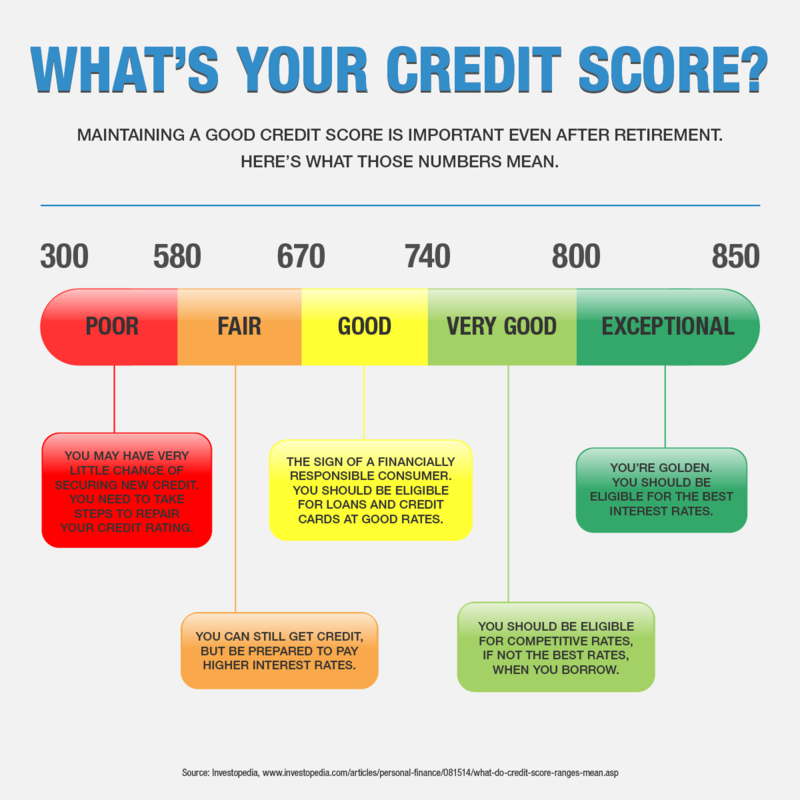 The amount of service credit you need to be vested depends on your tier. 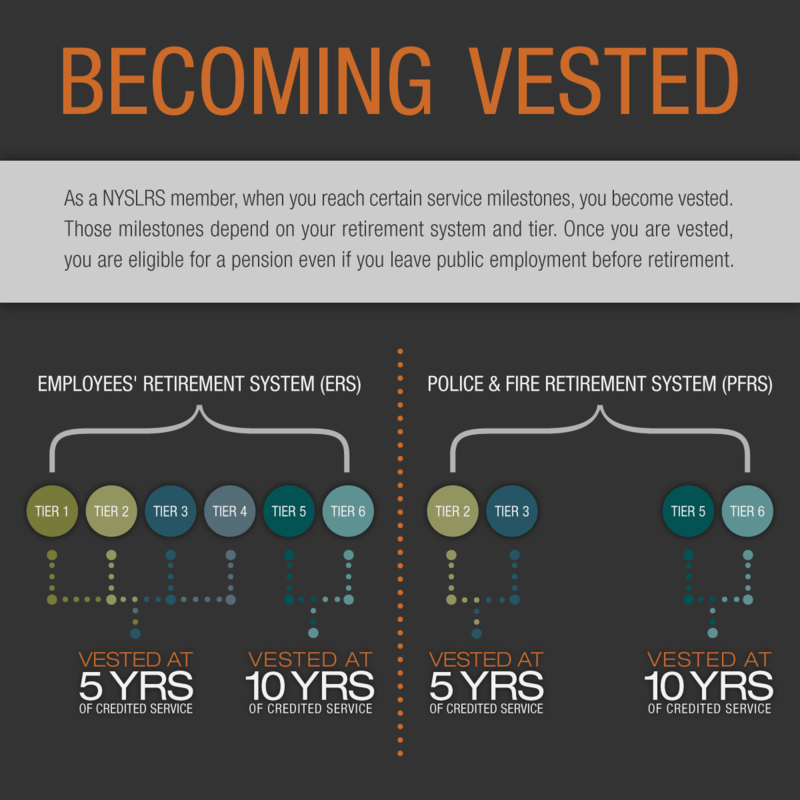 If you’re in Tier 5 or 6, you need ten years of service to be vested. 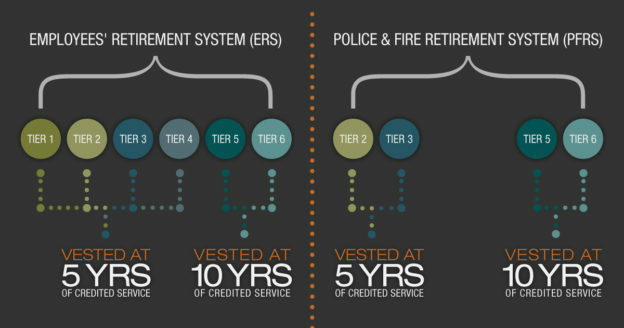 If you’re in another tier (Tier 1, 2, 3 or 4), you’re vested once you earn five years of service credit. 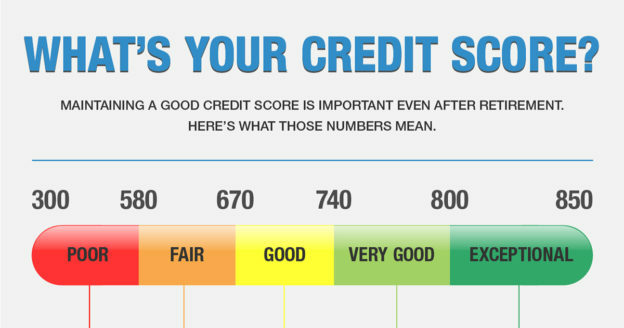 If you purchase credit for previous public service or military service, that credit can help you become vested. Vesting is automatic. You do not need to file any paperwork to become vested. If you are vested, you will need to file a retirement application at least 15, but no more than 90, days before you can receive a pension. 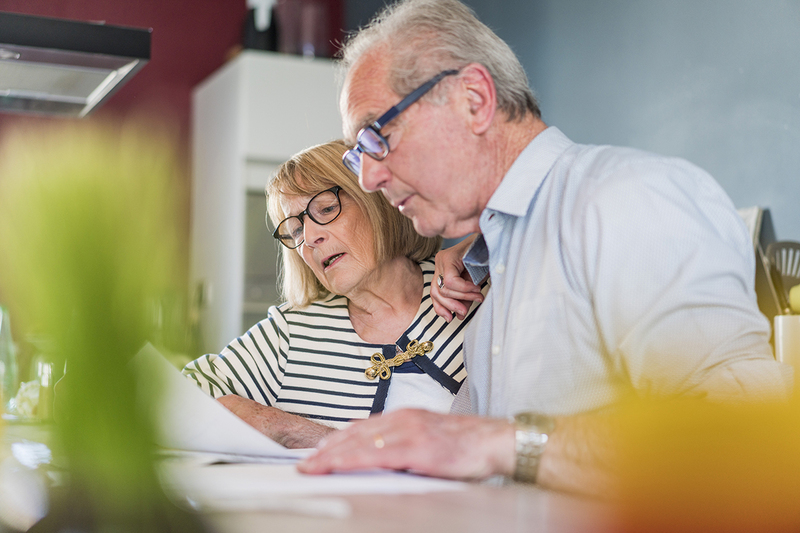 Most NYSLRS members are eligible to collect a pension as early as age 55, but benefits may be permanently reduced if you retire before you reach your plan’s full retirement age. Visit our website to learn more about vesting. Content last revised February 6, 2019. This entry was posted in General News, Members and tagged benefits, ERS, know your benefits, members, Membership Milestones, Milestones, New Members, New York State & Local Retirement System, NYSLRS, PFRS, retirement, Service credit, Vested, vested benefit, vesting on February 6, 2019 by NYSLRS. Saving for retirement? Under Internal Revenue Service (IRS) rules, you’ll be allowed to contribute more to your retirement savings account during 2019. If you’re having part of your pay deposited directly into an employer-sponsored retirement savings account, such as New York State Deferred Compensation, you’ll be able to contribute up to $19,000 next year. That’s up from $18,500 for 2018. 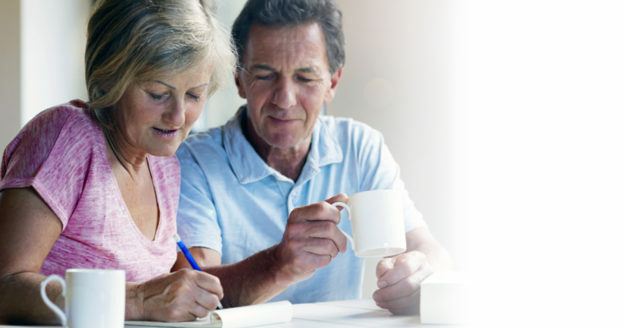 If you’re over 50, catch-up provisions allow you to save up to $25,000. The old limit was $24,500. Even if you’re nowhere near the contribution limit, this is good time to review your retirement savings strategy. Are you saving enough to meet your retirement goals? Can you save more in 2019? And if you aren’t saving for retirement, now’s the best time to start. Financial experts say you’ll need 70 to 80 percent of your pre-retirement income to maintain your lifestyle during retirement. Retirement savings can supplement your NYSLRS pension and Social Security, helping you reach that goal. Retirement savings can also be a hedge against inflation and a source of cash in an emergency. A healthy retirement account will give you more flexibility during retirement, helping ensure that you’ll be able to do the things you want to do. Once you sign up for Deferred Comp, your contributions will automatically be deducted from your paycheck and deposited into your account. You can choose from a variety of investment packages or choose your own investment strategy. You may also eligible for a Roth account, which lets you make contributions in after-tax dollars. In exchange for paying taxes upfront, your savings grow tax-free and you pay no taxes when you withdraw the funds in retirement. This approach may be advantageous for younger workers in lower tax brackets. This entry was posted in General News, Members and tagged deferred comp, deferred compensation, New York State & Local Retirement System, New York State Deferred Compensation Plan, NYSLRS, pension, planning for retirement, retirement, Retirement Goals, retirement planning, Retirement Savings, Roth IRA, saving, tax-deferred savings plan on December 19, 2018 by NYSLRS. Once you decide to retire and begin preparing, the final months leading up to your retirement date go by quickly. 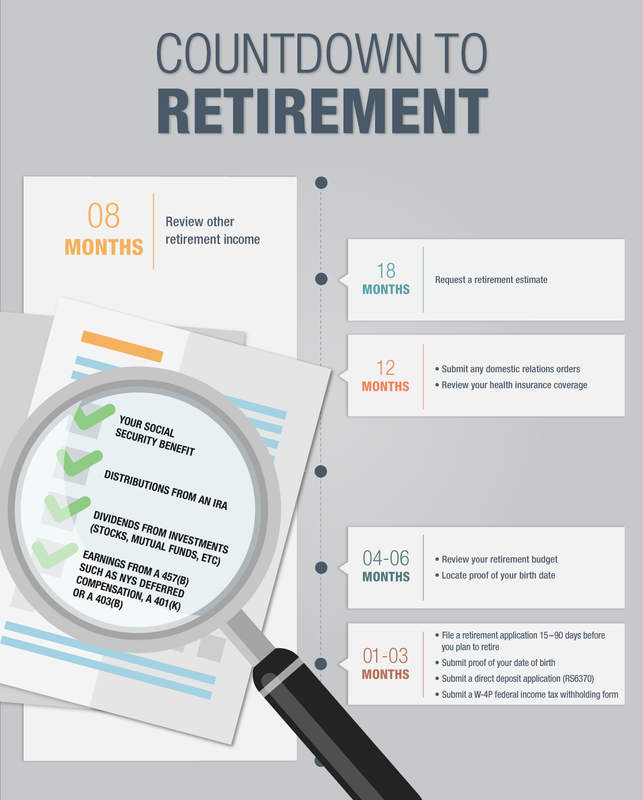 Previously, we discussed the steps to take when you’re 18 months away from retirement. As we continue our Countdown to Retirement series, let’s take a look at what you should be doing 12 months out. If you have a DRO, send it to our Matrimonial Bureau, which will review it for consistency with New York State law. If your DRO isn’t complete, visit our website for a NYSLRS-developed DRO template and tips to help the review process move more quickly. We’ll need certified photocopies of the final DRO and your judgement of divorce, before we can distribute any pension benefits to an ex-spouse. 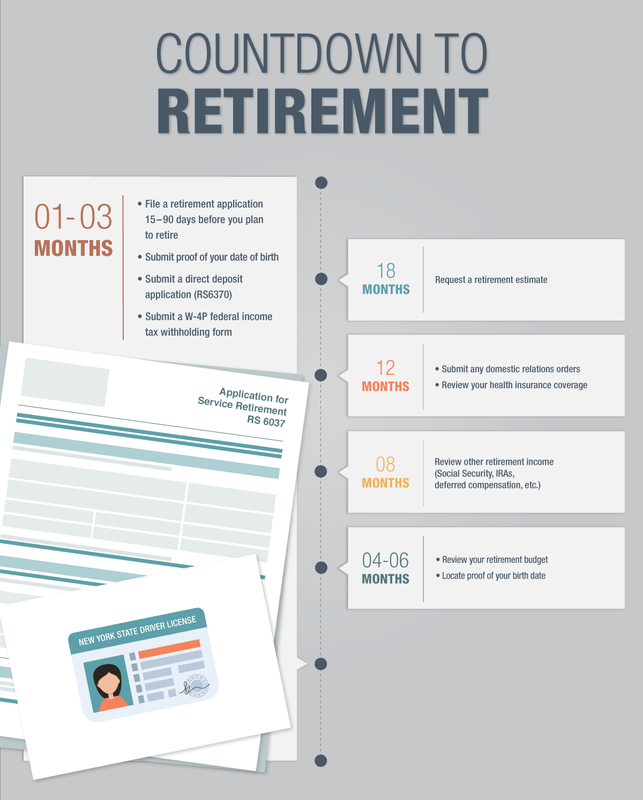 This process can take some time, which is why you want to begin 12 months before you retire. If you have questions about DROs, you can review our Guide to Domestic Relations Orders. 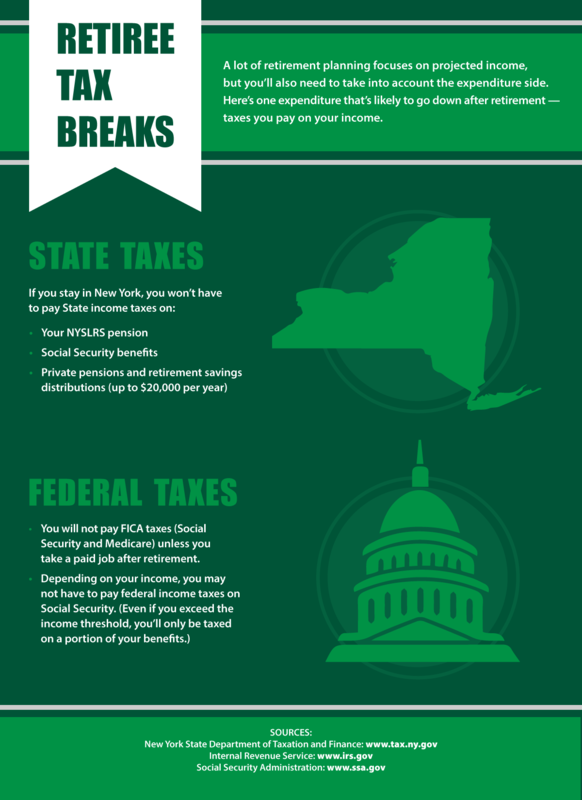 NYSLRS doesn’t administer health insurance benefits, but they’re an important part of a financially secure retirement. Check with your health benefits administrator to determine what coverage you’re eligible for once you retire. 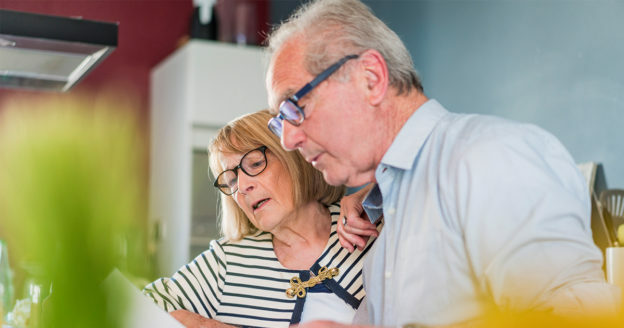 Now is the time to investigate private health insurance plans if you’re not eligible for post-retirement coverage or if you need to supplement it. 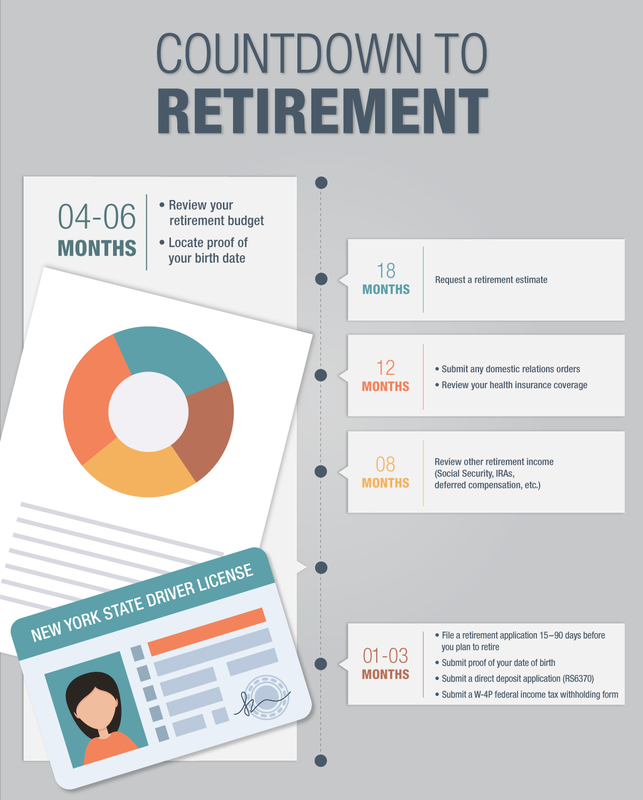 If you are a New York State employee, you may want to review the Planning for Retirement guide from the Department of Civil Service. 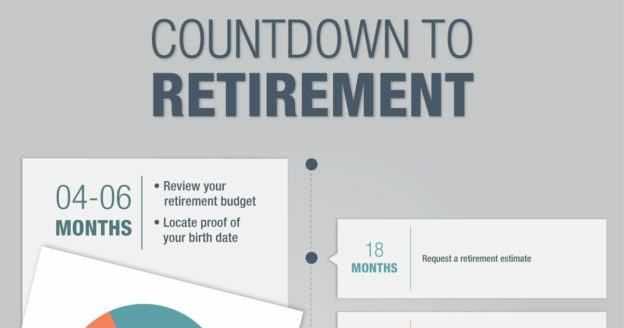 Your planned retirement date is just a year away. 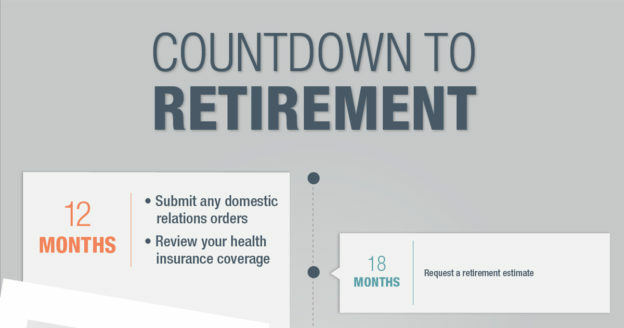 As it gets closer, check out the rest of our Countdown to Retirement series for steps to take eight months, four to six months and one to three months before your retirement date. If you have any questions, please contact us. Content last revised March 15, 2019. This entry was posted in General News, Members and tagged 12 months out, Countdown to Retirement, Domestic Relations Order, DRO, ERS, health insurance, Information is the Key, members, New York State & Local Retirement System, NYSLRS, PFRS, Preparing to Retire, retirement, retirement planning on December 12, 2018 by NYSLRS. This entry was posted in Retirees and tagged Earnings limit, New York State & Local Retirement System, NYSLRS, NYSLRS Retirees, pension, Post-retirement, Retirees, retirement, retirement benefit, RSSL, Section 211, Section 212, what if I work after retirement?, working after retirement on December 5, 2018 by NYSLRS.